Tarpaulins | Tirpal Udyog - Tarpaulins, Canvas, Silpaulin, PVC Coated, HDPE/LDPE Coated Fabrics, Drill, Twill, Suede, Air Mesh..
Our organization is one of the leading manufacturers and suppliers of 100% waterproof Tarpaulins. More than 30 years of industry exposure has made us an expert in the field of erection of temporary tarpaulins monsoon and all weather sheds. We are also able provide sheds in accordance with clients' specifications and designs. 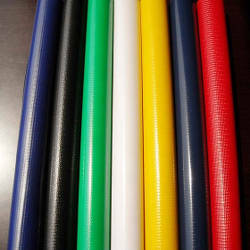 We are offering a large range of PVC coated tarpaulins which are available in a variety of colors, sizes and thicknesses. Manufactured in varied thickness, these nylon tarpaulins are used to meet applications across architectural work, modern tents manufacturing, mesh making, as printing materials, vehicle covers, as geo textile etc. Backed by rich industry experience, we are engaged in offering an extensive range of HDPE Coated Tarpaulins. This fabric is fabricated by our experts using supreme class fibers & yarns with the help of latest weaving machines in compliance with the international standards. 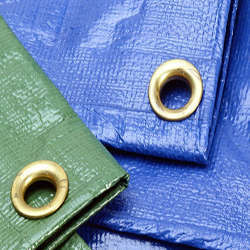 The offered fabric is available in various colors, sizes, finishes and patterns on client’s specific demands. We are offering a large range of Silpaulin Tarpaulins which are durable, waterproof, light weight made to resist stains, punctures, heat. 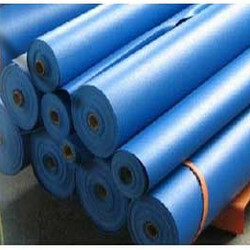 Manufactured in varied thickness and colors,these Silpaulin tarpaulins are used to meet applications across agricultural work, as greenhouse roof covers, as portable vermi compost beds etc. Our range of Cotton Canvas Tarpaulins specially fabricated with excellent quality fabric which serves as an excellent medium for covering in various industries. These canvas tarpaulins are highly durable and prevent the product from water, humidity and other such damaging effects thereby ensuring that their quality is maintained. The Fire Retardent Tarpaulins offered by us gives complete protection against fire . Further, these are available in various sizes and patterns. These provide optimum protection in all weather conditions. 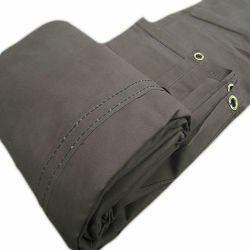 Canvas tarps are easy to fold which makes them easily portable. 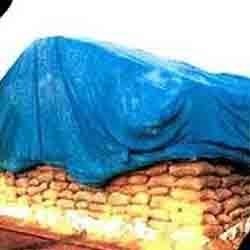 Backed by an expert team of professionals, we have been able to manufacture and supply an exquisite variety of Paddy Stock Covers. 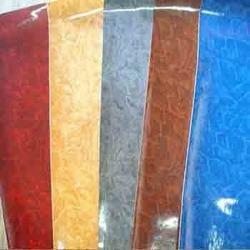 These covers are manufactured by our experts using optimum grade raw material and is finished with advanced machines. Highly demanded in the packaging and warehousing industry, offered covers are available in varied colors, finishes and sizes as per the requirements of clients. 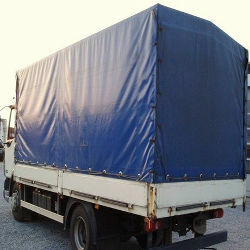 We are specialized in offering superior quality Truck Tarpaulins, which are made from canvas and cotton fabric from India. We use to twist the yarn and weave our own fabric The offered tarpaulins are available in various sizes and colors at very nominal rates.